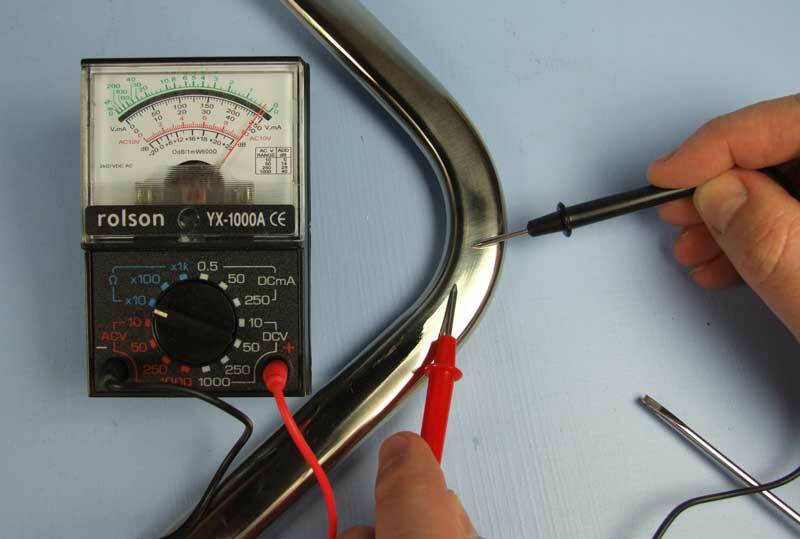 Before you try to plate the surface of your work, find out whether it will conduct electricity and is therefor e able to be plated, by using our Conductivity Tester. It may save you a lot of time and effort! Our Conductivity Tester is vital for plating on plastics and other non-conductive surfaces as you may need to test if the layer of our Conductive Ink (hi-grade) you've sprayed on is conductive. 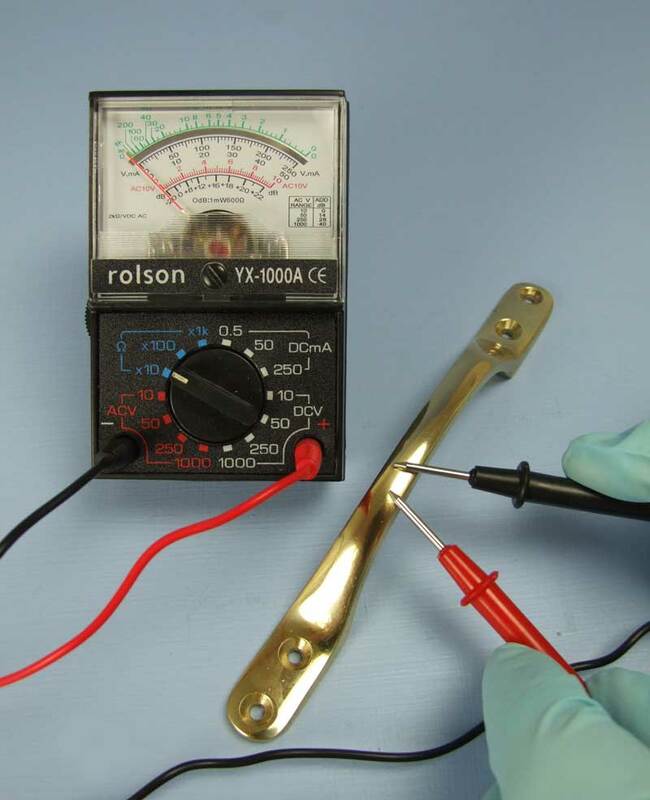 Embedded in this page is a video that shows how to electroform on plastic and it includes a sequence showing the Conductivity Tester being used to check the conductivity of a layer of freshly applied Conductive Ink. 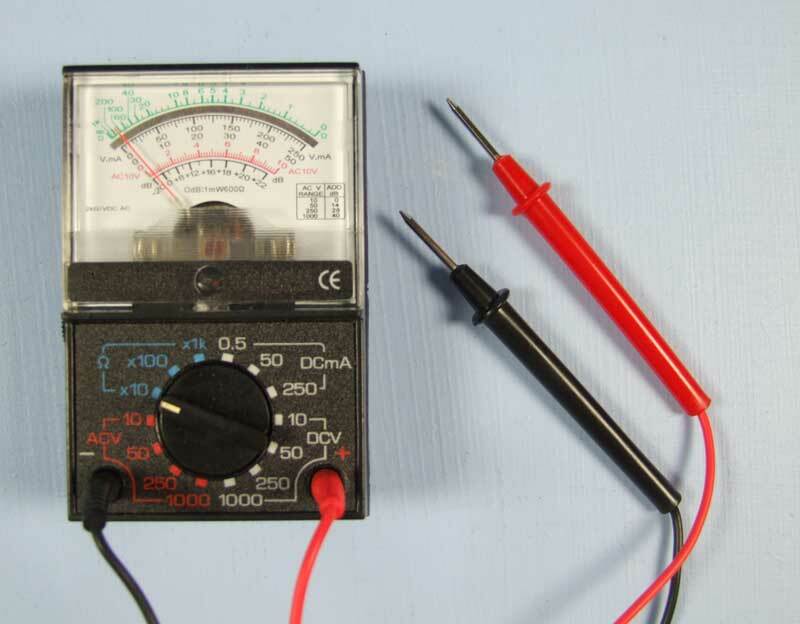 Check that the tester is working properly by turning the dial to the 10 ohm setting. Now touch the test probes together and if the needle moves to the end of the scale, the Conductivity Tester is working normally and will be able to show whether the surface of the item you intend to plate is conductive or not. If it does not, the AA size battery may need changing. 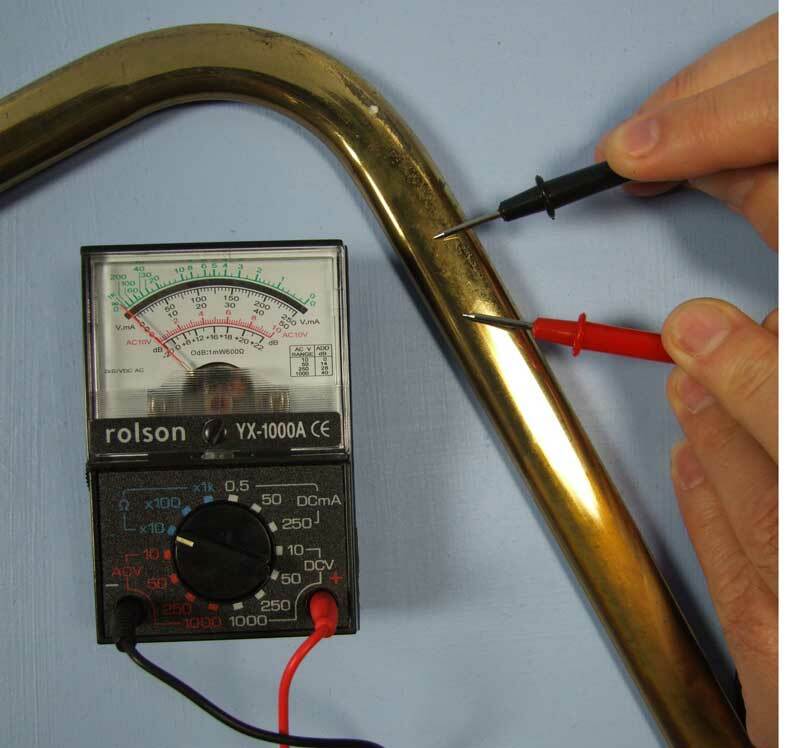 To see if the surface of your work is conductive, touch both probes to the surface as demonstrated in the photo opposite. The meter needle has moved over fully to the other side of the dial. This means that once you have carries out the necessary polishing and cleaning, the surface of your work can be plated. it’s made of a non-conductive material, such as plastic. If the first example is the explanation for non-conductivity then the answer is to remove the lacquer with some kind of solvent and then clean it very thoroughly with MPU. If the second, you may have to think again about plating the object. If the third, you can make the surface of non-conductive materials conductive by using our Conductive Ink or Conductive Paint.